Baby's offers your guests a unique and entertaining catering experience, excellent service and award winning delicious gourmet burgers. 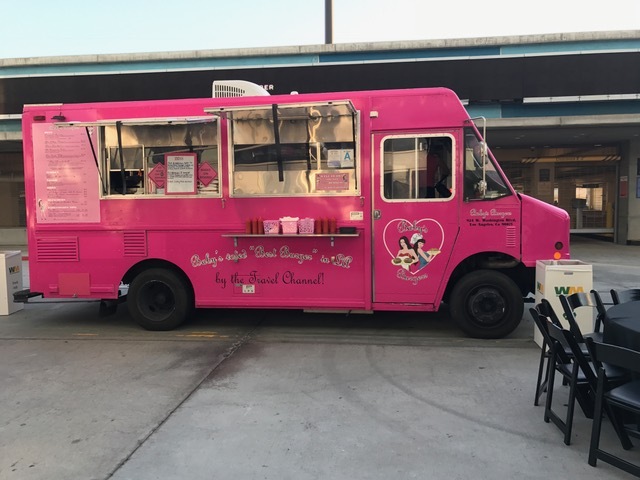 Our bright pink truck and friendly Burger Babes serving your guests all contribute to the "feel good" experience of a Babys event and our amazing burgers always bring a satisfied smile to one's face. All of our gourmet burgers come in a half pound "MANEATER" size that is always a satisfying crowd pleaser OR, a few of our signature burgers are also available as sliders that come in a pair....perfect for a tray-pass event!